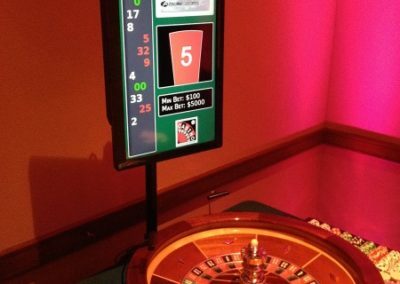 Want to make the casino even more realistic? 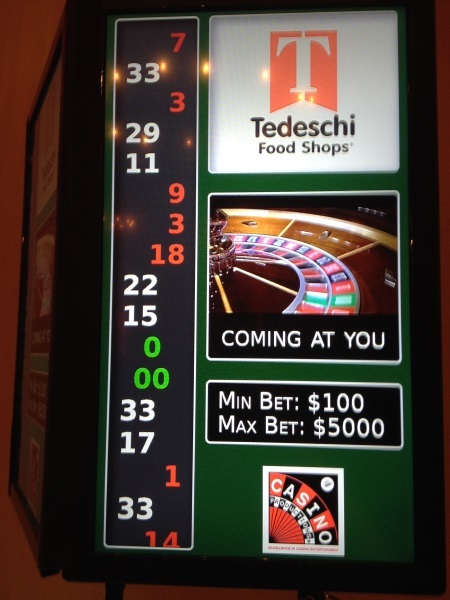 Have our large 7-foot tall “Welcome to Las Vegas” sign complete with lights, just like on the real sign. 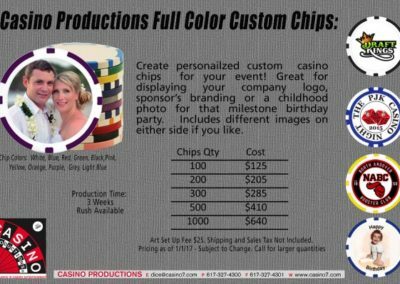 This is great for photos and selfies. 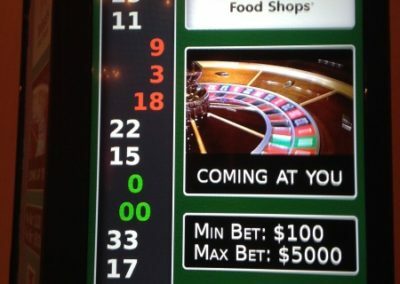 The sign was built in 1959 and has been an iconic image of Las Vegas. 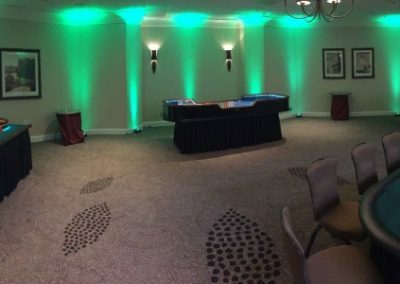 You have the beautiful tables and great decorations, but the venue still has the sterile fluorescent lights which really can impact the guests first impression. 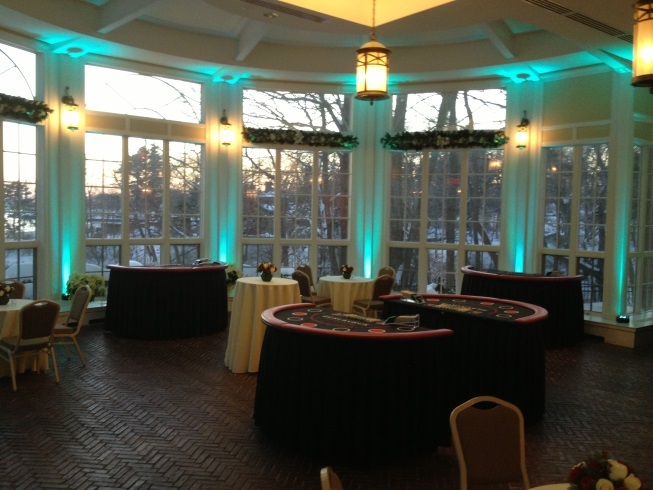 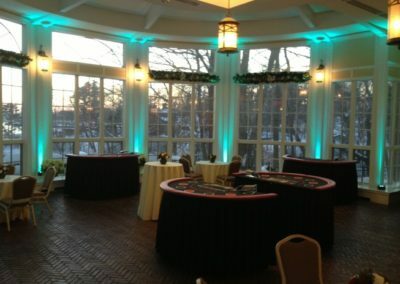 Let us create a warm and beautiful setting from the moment the guests arrive. 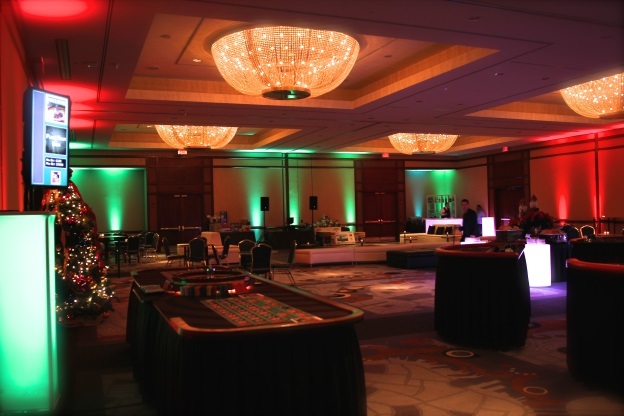 Our wireless LED up lights can really change the entire feel. 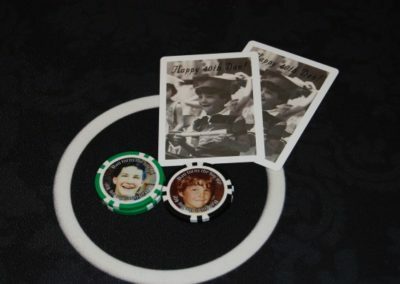 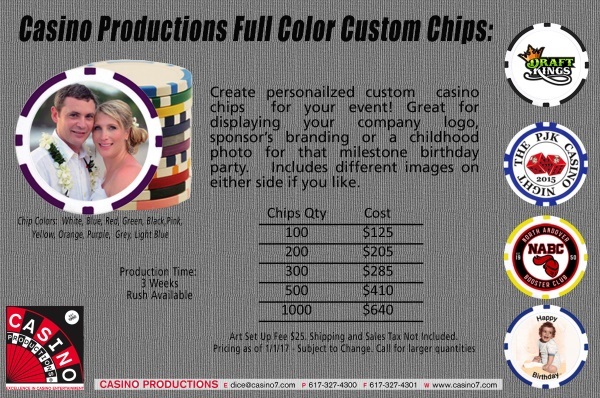 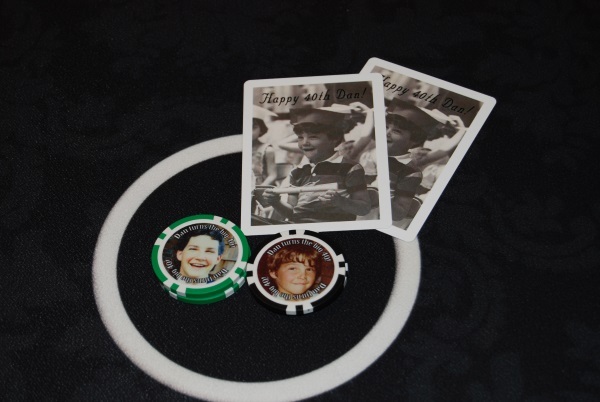 Bring you’re your event to the next level with custom cards or chips with your company or sponsor’s logo. 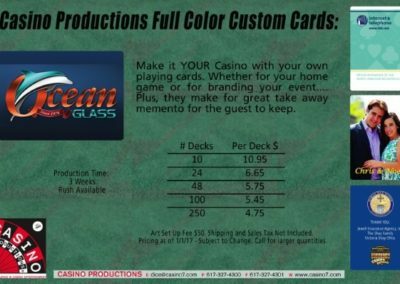 These are great for giving your guests a fantastic memento and take a piece of the event home to keep that branding going. 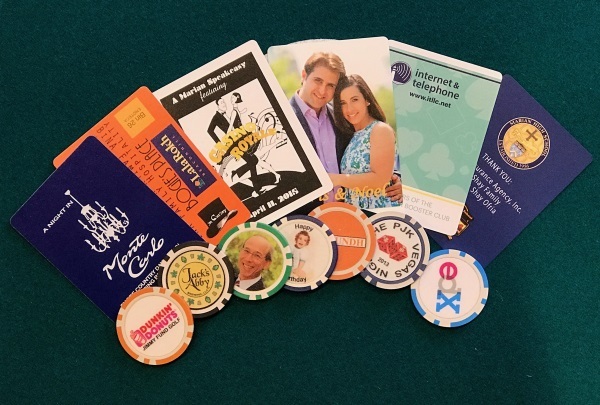 These also provide a great fundraising opportunity for your charity. 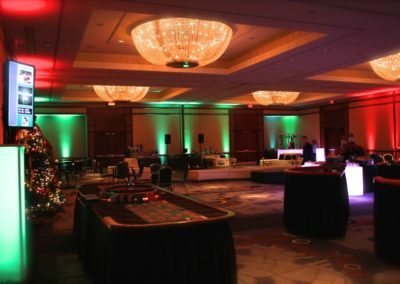 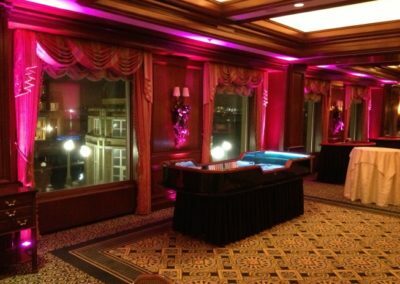 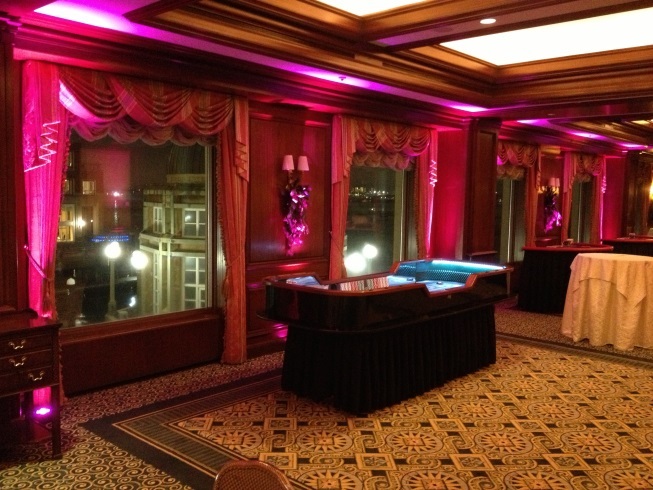 Ask us how we can help make your event even more successful. 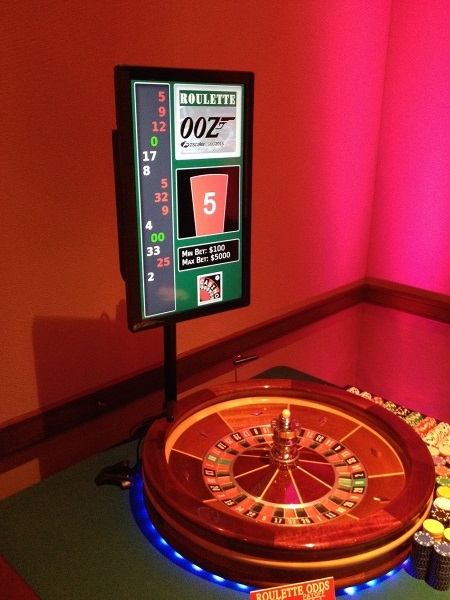 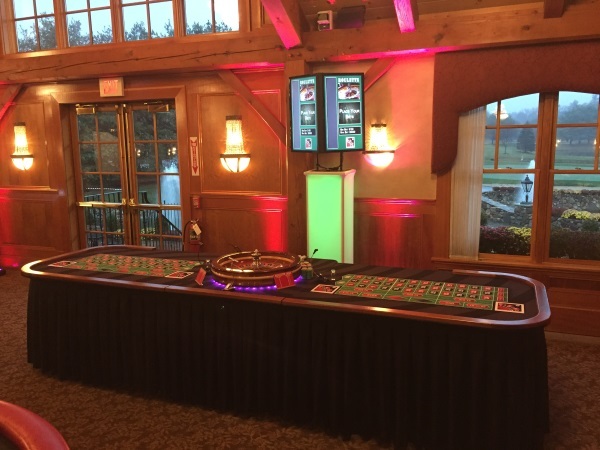 The Roullex™ was designed to mimic the real roulette experience in a casino by displaying the winning roulette numbers and the betting limits. 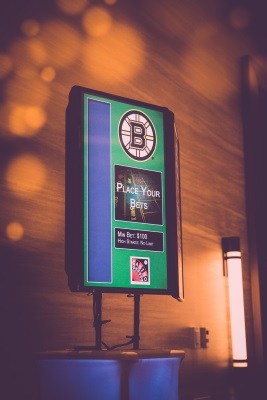 Not only that, but the Roullex™ can display company logos, sponsor’s names or present a slide show of pictures on the screen throughout the event. 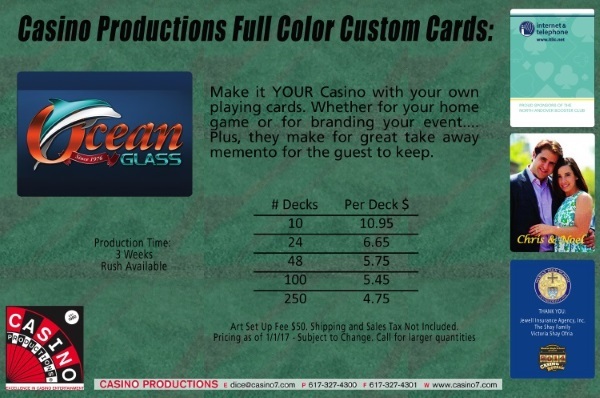 Casino Productions created the Roullex™.